I don’t know about you, but every so often, I need a really good dose of creative inspiration! I am so thankful for the abundance of resources that we have available to us today. There was a time (not so long ago), that in order to find creative visual inspiration, you would have to order a subscription to a magazine…then hope that there were some good pictures in that month’s issue 😉 Now, our options are literally unlimited! 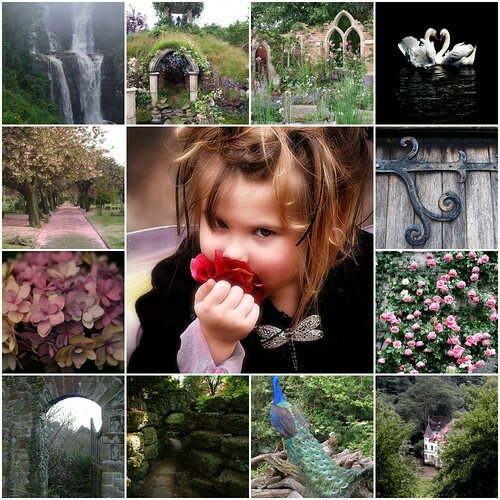 One of my favorite places to find creative visual inspiration is Flickr. For your daily dose of creative inspiration… here is a slide-show of some of the photos from the group! I hope you enjoy…I know that I do! I decided to get a professional account there, so that I can add as many pictures to my account as I’d like. I also belong to several groups, where people that share the same interests gather to share their favorite pictures. At Flickr, not only can you find pictures on any topic that your heart desires, but you can add them to your favorites, save a person as a contact if you like their pictures, add your pictures to different groups, comment on any pictures, and more! The site is totally free to start your own account, and you can use the site as much as you’d like. I created the group to give people a special dose of creative inspiration, without all of the work of sorting through thousands of pictures, while trying to find the perfect one. The group is free to join, and even though we receive many pictures to be considered for inclusion, we only allow the best of the ones we receive to be included in the group. This ensures that people who take the time to look through the group’s photos, will thoroughly enjoy their time with us! A BIG thank you goes out to everyone who has already submitted pictures, it is really appreciated! It’s so simple to enter! #3 – Come back & leave a comment at our contest page: http://www.astorybooklife.com/home-garden-pictures/shopping-spree/ – & leave a comment with the url (web address) or name of your room/username. This is how we will know you are participating in the contest. #5 – The pictures donâ€™t have to be new – they can be ones that youâ€™ve already taken (as was mine). So think of last yearâ€™s fall or Christmas for example. We are all looking forward to seeing your space! I love to look at pictures that seem to sweep me away into a different time & place. There’s just something about our imagination that fuels even greater creativity when it comes to decorating our homes & gardens. I hope these “Featured Home & Garden Pictures” provide fuel for your creative ideas! Enjoy & have a wonderful day!